You can take the shuttle or the tram T2 to go to the city center. 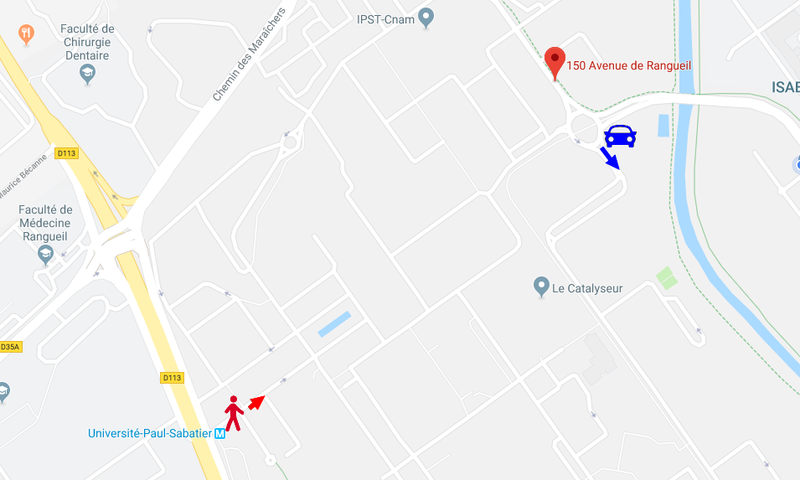 Subway : Line B – Station Université Paul Sabatier and follow the signs ! The Catalyseur is located 5mns walking distance from here. Entrance at the roundabout located at 150, Avenue de Rangueil, 31 400 Toulouse. Free parking at the marked area. Follow the sign once parked. Founded in 1961, the Centre National d’Etudes Spatiales (CNES) is the government agency responsible for shaping and implementing France’s space policy in Europe. Its task is to invent the space systems of the future, bring space technologies to maturity and guarantee France’s independent access to space. TLJ #SpaceTalks, Novembre 2018, Toulouse.